To dress up or not to dress up? You may have asked this very question when getting ready this morning. Halloween is the one day of the year where you can dress up and no one thinks anything of it (as long as it’s appropriate). But for one company, employees weren’t the only ones who planned to dress up. 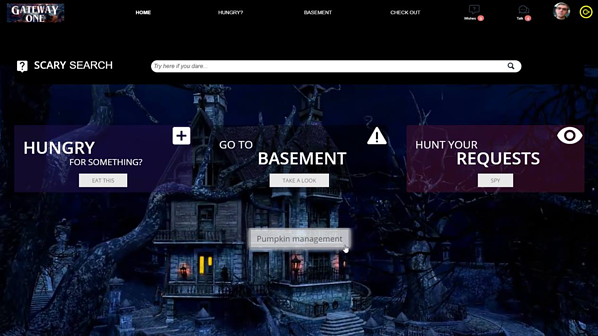 The IT team at a mixed-use real estate developer company decided that their employee self-service portal needed a new, spooky look. The team made a spontaneous decision to transform their portal one week before Halloween to get their employees into the spirit — and this company did just that! They took their typical IT self-service portal and made it fun by adding haunting images and scary wording that relates to IT support services. For instance, if employees needed to search for an answer in the knowledge base, they’d simply go to the basement to have a look. For the first time, their employee self-service portal was the talk of the town and everyone was visiting it to see what kind of spooky experience they could get themselves into. But you might be wondering, where did they find the time to create an entire new self-service portal to keep up for just one week? The answer is... they had the right technology to easily create a new self-service portal experience in minutes with the business objective of better employee engagement — in this case, a haunting (in a good way) experience! Drag-and-drop Functionality – The only way you can quickly design portals is to do it without any line of code. Even if you’re an expert coder, you really can’t take advantage of providing engaging experiences without it taking too much time from your more important tasks. That’s why you need to ensure that you can easily drag and drop modules into a canvas to create your portal, making it easy and quick to add sections, images and update text in your portal. In this case, the company used drag-and-drop functionality to create a new Halloween template and swapped out their traditional employee portal. After Halloween, they can easily revert back to their traditional portal. Pre-built Templates – Sometimes you need a little inspiration and a good starting point. Templates are great because you don’t have to build from scratch. Make sure your tool provides templates that make it easy for you to build upon so you’re not spending a lot of time designing the structure of your portal. In this instance, the company used a pre-built template which gave them a solid foundation to quickly, and easily, build a new self-service portal for Halloween. Responsive Design – Once you create a new portal, it’s crucial that everyone can experience it – on any device. Your portal should have built-in responsiveness so you don’t have to wonder whether it will display properly on mobile. According to Statistica, by 2020, the average number of devices per user will be 6, so if you’re spending the time to create a portal it’s essential that you ensure it can be properly displayed on any device. Holidays are the perfect opportunity to boost creativity and employee morale within the workplace, and incorporating technology by providing unique experiences to employees is the new way to do so! Gigi Walsh, Sr. Manager of Global Programs & Communications, has 5+ years of marketing experience in B2B Software and IT Service Management. 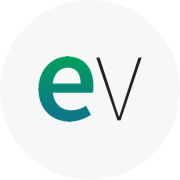 In her current role, she is responsible for public relations, events, content, brand management, creative services and digital marketing at EasyVista.